I don’t do much decorating for Halloween and I don’t do scary or gorey at all. 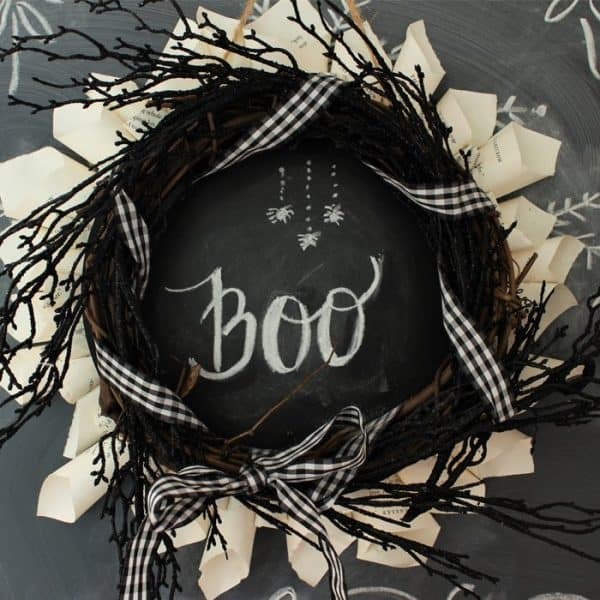 So I’ve picked a few not-too-spooky Halloween wreaths to share with you today. 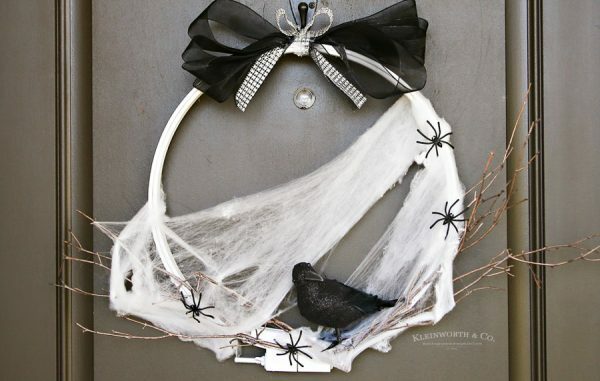 Hopefully you’ll be able to find the perfect wreath for your front door this October! I love the simplicity of this wreath. You could easily switch out the jack-o-lanterns for orange pumpkins, fall leaves, or flowers. And if you use one of those cinnamon brooms that Trader Joe’s has, this wreath would smell great, too! This wreath is for those of you with neutral color schemes in your home. It’s amazing what you can find at the dollar stores. Halloween seems to be one of their best holidays. Simple and elegant… although, I’d probably switch out the spider for a pumpkin or skull. You know me and spiders! Eek! Here’s another example of an embroider hoop wreath. I just saw one this size at the thrift store. I think I need to go back and get it! 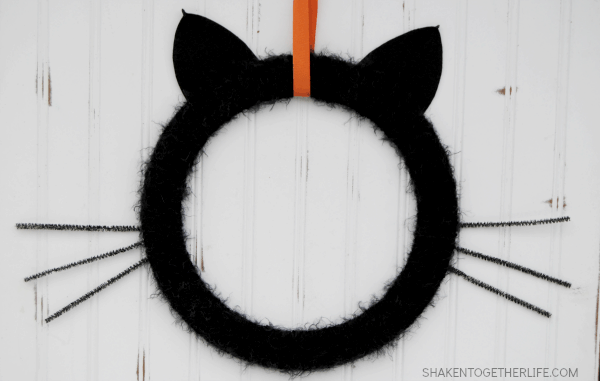 Isn’t this black cat wreath adorable? 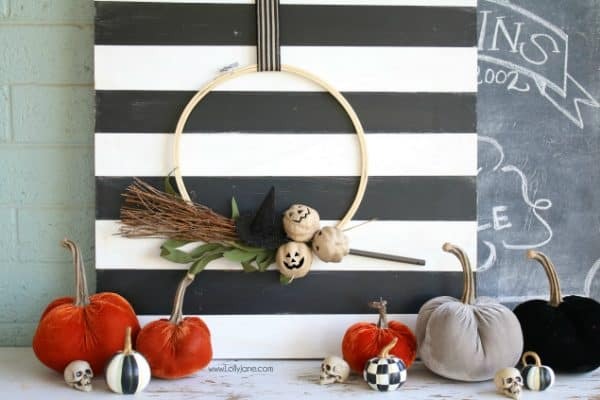 Little girls will love this Halloween wreath! 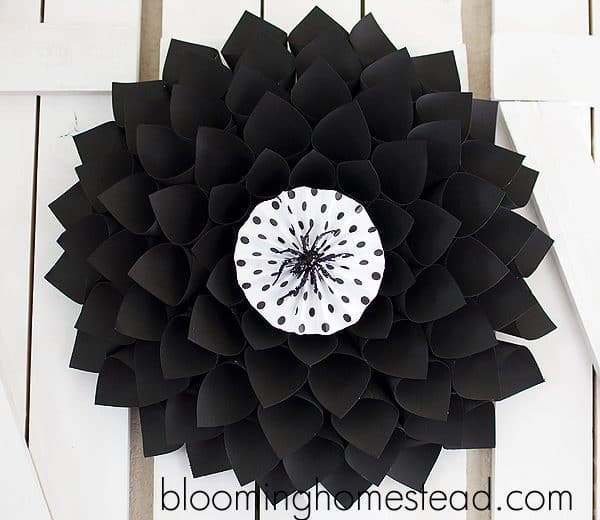 When you don’t feel like decorating… this is the perfect wreath to make. I can’t stand rats! 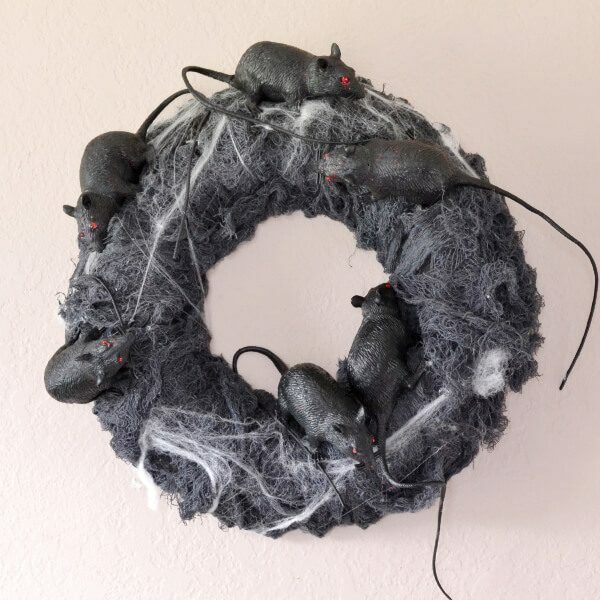 But I’d make an exception for this rat wreath. 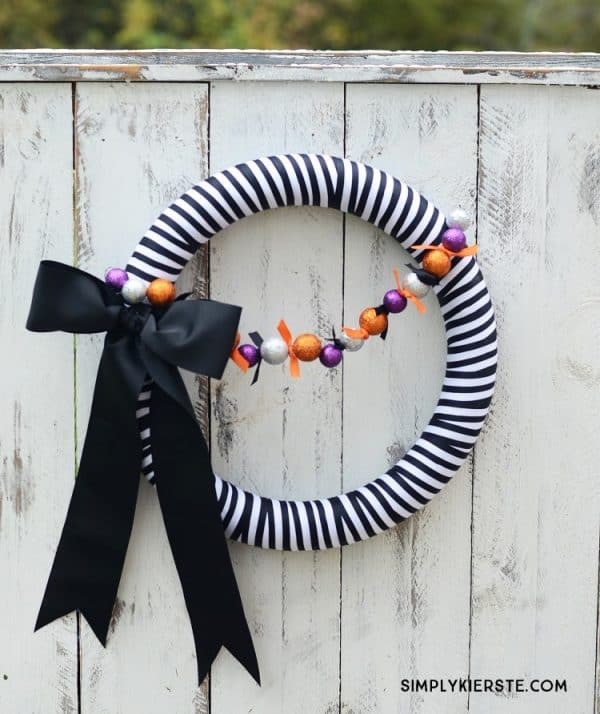 Here’s another simple Halloween wreath that you could switch up in so many ways — change the fabric/ribbon , change the bow, change the color of the balls, etc. 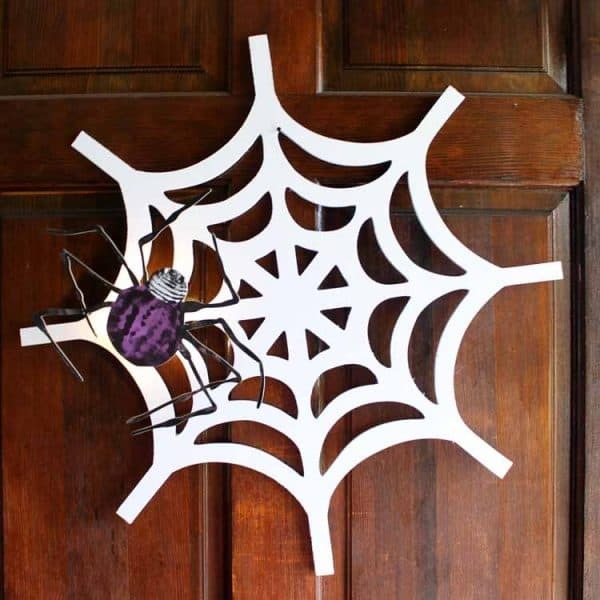 You can’t get much easier than this simple spider web wreath. And the spider even lights up! 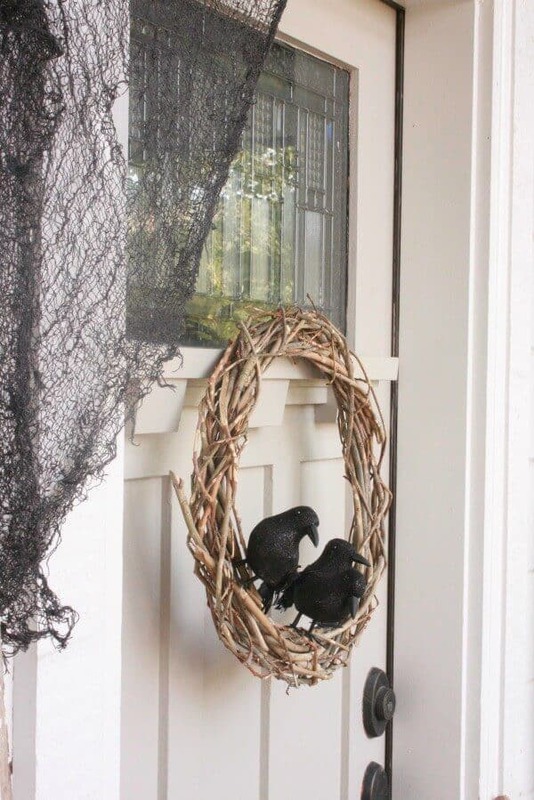 If you made a simple raven wreath last year, switch it up with some black leaves this October. 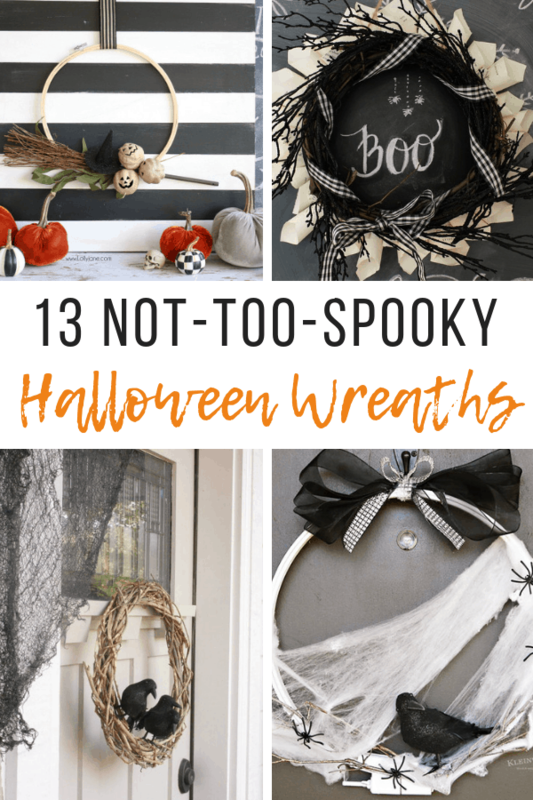 And a couple more Halloween wreaths… just to make it an even 13! Thanks for reading! 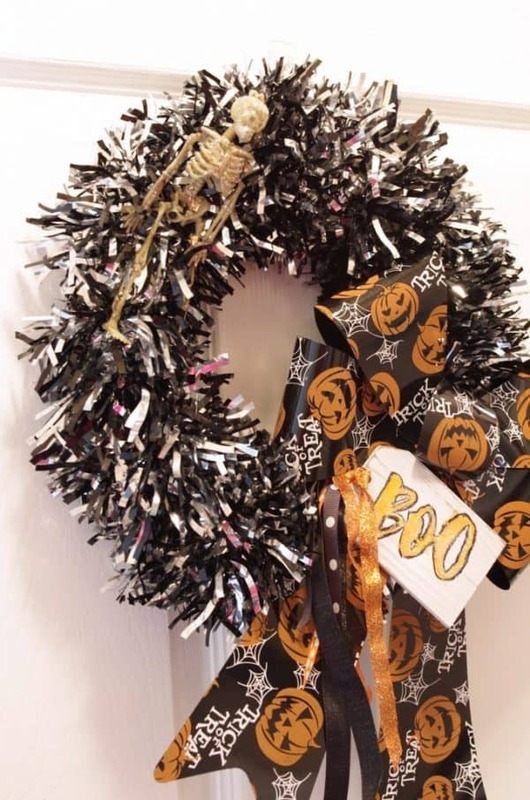 I’d love to hear what kind of Halloween wreaths you’ve had on your front door. Leave a comment and let me know. We share at these blog parties. 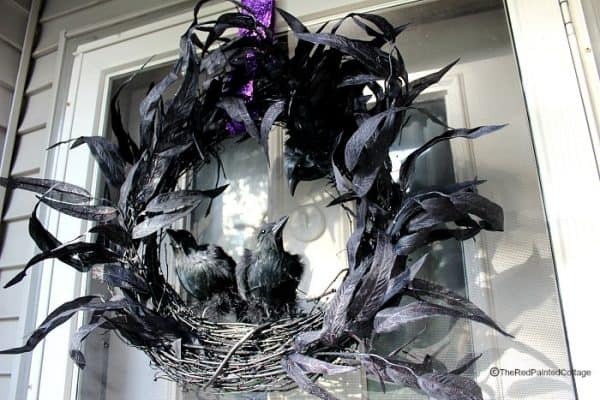 Great collection of Halloween Wreaths, very creative ideas. Thanks for sharing at Merry Monday! I love all of these ideas. Thanks so much for sharing with Funtastic Friday.